We offer a Free Training Needs Analysis to any organisation requiring ‘In-House Training’. We can tailor an existing course to your company’s requirement or design one to suit your sector. In the current economic environment, training and development are synonymous with organisational development. Your employees have helped your survive through the worst of the economic downturn and by investing in their development, you are investing in your organisation’s future. By training the key figures in your organisation, you can not only equip your organisation with the tools to survive, but thrive. As an innovative local training provider in Cardiff, Wales, all of our training is bespoke to your organisation’s specific needs and the developmental needs of your team. We do not prescribe generic training that meets the needs of most organisations; we promote learning as unique as your organisation and its culture. We develop holistic solutions that achieve exactly what your organisation needs and focuses in on the heart of the matter. We are in a very accessible and professional location with fantastic training rooms and we can also provide training at your office. We have laptops, projectors and screens which we can use at your workplace to train up your staff. While we recommend a maximum of 8 individuals per class the number of delegates is up to you. We have a sliding scale for prices so the more staff members you sign up the cheaper the course will be. CCW offer a variety of highly competitive training solutions for corporate clients, ranging from personal effectiveness to proficiency in office suites. 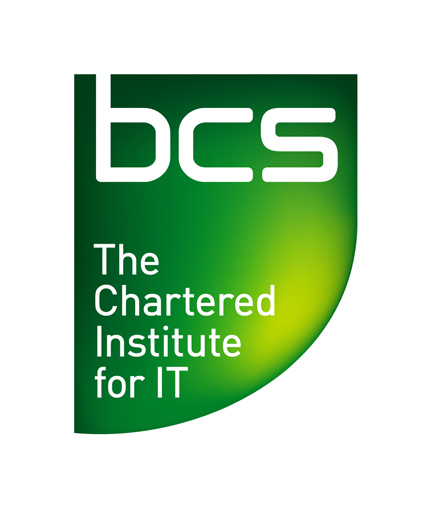 All of our training is certified by internationally accredited awarding bodies and test centre for the Institute of Leadership and Management (ilm), the British Computer Society (BCS) and Edexcel/Pearson. All of our tutors, mentors an coaches are highly experience and professionally qualified trainers amassing over 100 years of experience in training and development. We have worked with international and national organisations to deliver a wide variety of programmes. These included strategic thinking and decision making, management training for managers’, ‘Train the Trainer’, high level project management, and financial accounting. We not only develop training for organisations, but also have worked to assist Small and Medium Enterprises (SME) to acquire funding to assist them in their organisational development. Despite the importance of training and development for any organisation, many SMEs struggle to find both the funds and time to train their staff. We have assisted SMEs to identify training needs and locate funding opportunities. We have even delivered training outside of office hours as to not disrupt office working hours. All of our courses can be offered at highly competitive rates. Please Contact Us for a quotation. This qualification has been specifically created for managers within the construction and built environment sectors. Scheduled training every month at our Cardiff office. ILM NCF/QCF: Award, Certificate, and Diploma in Level 2, 3, 4, and 5 ILM Endorsed and Developmental programmes in Leadership and Management. Here you can find our un-accredited training courses for many useful skills for managers such as workplace communication, understanding customers and becoming an effective leader. Short MS Projects Training Courses. Fundamental computer training for people within any organisation. Covers Word Processing, Spreadsheet and Presentation Software. Microsoft Office (Foundation, Intermediate and Advanced Level): Scheduled training every month at our Cardiff office. 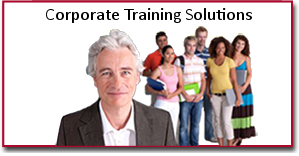 Unaccredited MS office training courses in: Word, Excel, PowerPoint, Access, Publisher and Project. Foundation AutoCAD – This course is great for those just starting out with AutoCAD 2016. It takes you from the very beginning of creating a drawing to altering objects. This course has been designed for those with no experience using AutoCAD or for anyone looking for a refresher. Intermediate AutoCAD – Our intermediate course follows on from the teachings in the beginner course and takes you to an advanced level. You will learn different utility commands and advanced layouts. This course is for anyone who is experienced in using AutoCAD 2016. We can even bespoke to your requirement. Full AutoCAD Course (Contains Day of 3D) – This is the amalgamation of the beginner, intermediate and Advance AutoCAD 2016 (2-D) courses with a day of (3-D) AutoCAD 2016 introduction thrown in as well. This is a fantastic course for anyone who is new to AutoCAD or for someone requiring advanced level drafting skills. It maybe you require a ‘refresher’ course to be able to use AutoCAD 2016 again. Practical Use of AutoCAD 2016 – AutoCAD is a computer aided design tool used to create 2 and 3 dimensional drawings for technical, design and planning purposes. This course focuses on building practical expertise and industry short cuts to improve productivity. HTML and CSS – The fundamental scripting language of the internet. Learn how browsers read and translate HTML and CSS into web pages. 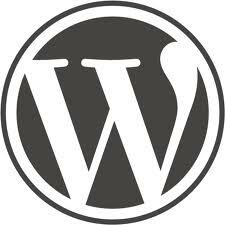 WordPress and CMS – Learn to use modern Content Management Systems such as WordPress to create versatile and aesthetic websites with minimal effort and cost. SEO and Social Media – Learn how Social Media and Search Engine Optimisation are used to boost your pagerank and improve your websites profitability. Scheduled training bi-monthly at our Cardiff office. Effective Telephone Communication – Convey information effectively without being face to face with your customers and team members. Customer Care – How to provide exceptional customer service and turn your clients into devoted sales representatives. Business Development – Understand where funding and other sources of income can come from to protect your organisation’s future. Internal Sales -Gain effective cooperation between divisions and departments to maintain maximum revenue for your organisation.